This spectacular Liberty Elegant Lady has been heavily upgraded including new flat screen HD TV’s including large exterior entertainment center w/refrigerator, I-Pad integration, new leather seats, and sofa, upgraded sound system, and so much more. 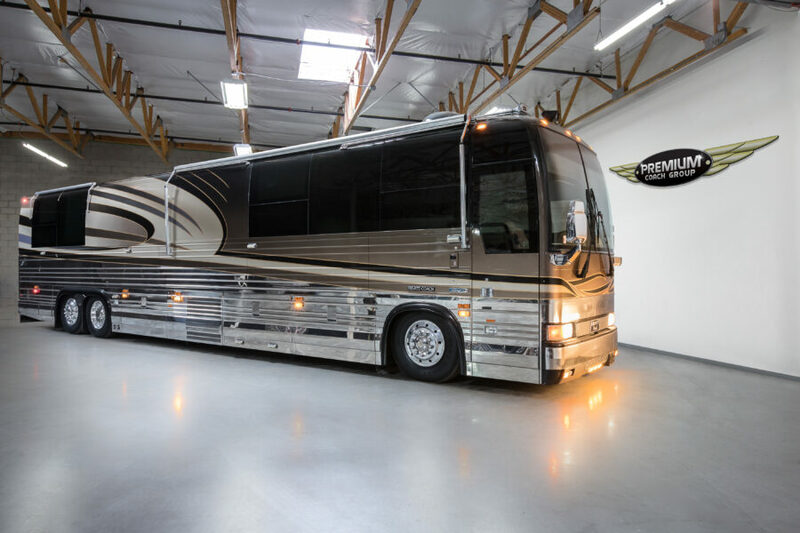 This wonderful coach has always been garaged, and it shows with its almost flawless exterior finish and stainless. 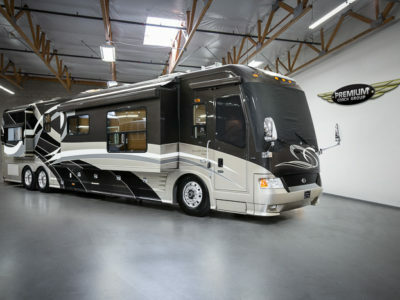 This top of the line Elegant lady includes OTR bus air, 4-Cruiseairs, 80K BTU Webasto, 20 gallon marine water heater, 20KW turbo charged diesel genset, power Hunter Douglas shades, dual entry water closet copper vessel sinks, and more. Please contact us to learn more about this outstanding Liberty Elegant Lady. 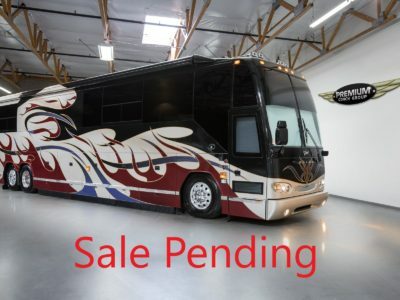 2004 PREVOST VANTARE H3-45 TWO OWNER GARAGE KEPT!